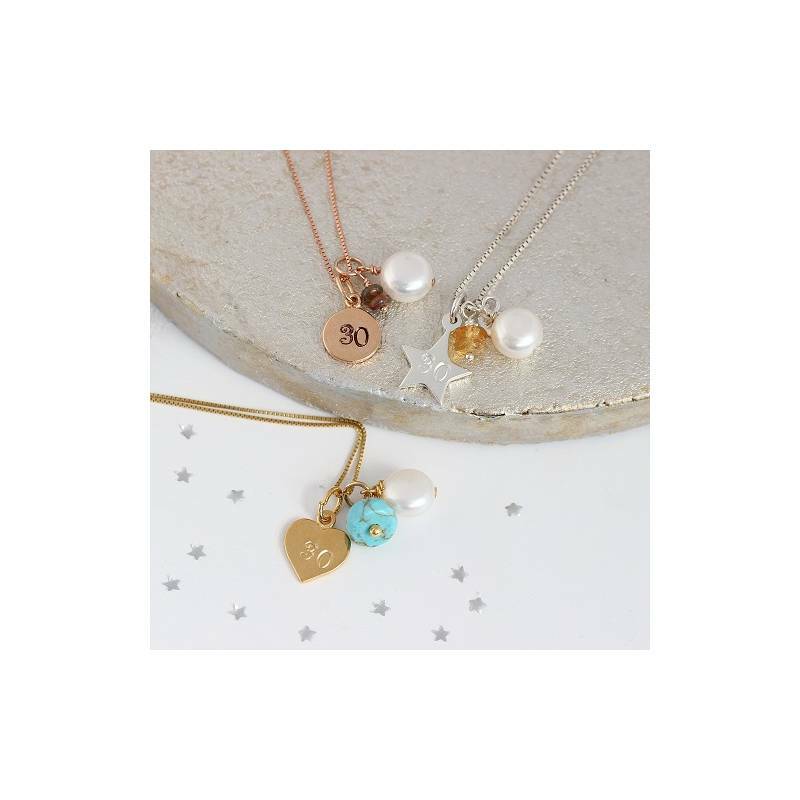 Personalised and handmade jewellery full of sentiment. 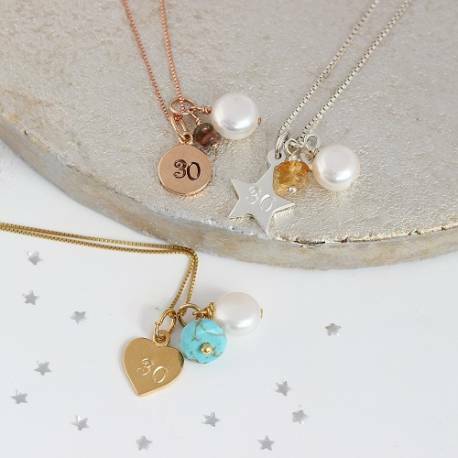 Spoil her with a unique jewellery gift for her 30th birthday. This is such a beautiful birthstone necklace. A real modern heirloom piece she will treasure. Perfect for your wife, sister, neice or best friend to celebrate her 30th birthday. The cluster is separate from the charm. 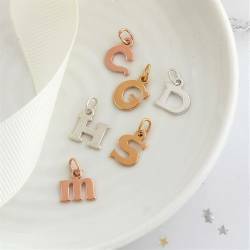 So can be removed from the chain, you can wear just the 30 number charm or both cluster and charm together. Each 30 is hand stamped and patinised (darkened) so it stands out, or we can leave it silver or gold (clean finish) for a more subtle look. 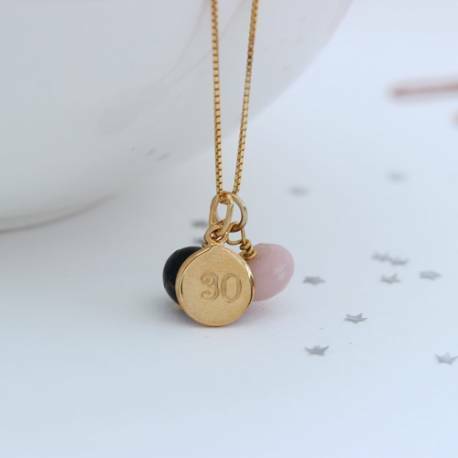 Once we’ve created the perfect 30th birthday necklace for you, we’ll carefully package it in one of our beautiful black gift boxes with a birthstone gift card for the month you select. We’ll then finish it with a flourish of ivory ribbon ready for you to give to the lucky lady. The box chain is available in 4 lengths approx 16"/40cm,18"/45cm and 20"/50cm.